Baseline: Pre-SOP and box breathing, then ROM Drills. Work Capacity: 10 Rounds for time: 10x Curtis- P (95/65) 400m Run Durability: Hydrate and fuel within 30 minutes. Journal post training session SOP. Baseline: Pre-SOP and box breathing, then ROM Drills. 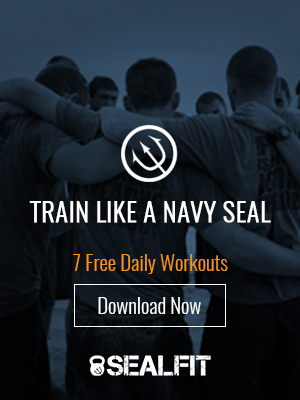 Work Capacity: 3 Rounds for time: 800m Swim 3 Mile run 2 Mile Ruck Durability: Kokoro Yoga or Active cool down. Hydrate and fuel within 30 minutes. Journal post training session SOP. Baseline: Pre-SOP and box breathing, then ROM Drills. Work Capacity: 60:00 AMRAP: 200m Farmer Carry (55/35) 14x Sandbag Get up 4x Rope Climb 400m Run with Slamball (30/20#) Durability: Hydrate and fuel within 30 minutes. Journal post training session SOP. Baseline: Pre-SOP and box breathing, then ROM Drills. Work Capacity: For time: 10 Mile Ruck (40#) Durability: Hydrate and fuel within 30 minutes. Journal post training session SOP. Baseline: Pre-SOP and box breathing, then ROM Drills. Work Capacity: 60:00 AMRAP: 200m Bear Crawl 100x KB Thruster (35s/20s) 200m Crab Walk 100x Burpee Pull up. 200m Broad Jump 100x Slam Ball Durability: Hydrate and fuel within 30 minutes. Journal post training session SOP. Saturday Baseline: Pre-SOP and box breathing, then ROM Drills. Work Capacity: For time: 1 Mile Run 400m Walking Lunge 200x Push up 100x Pull up 200x Push up 400m Walking Lunge 1 Mile Run Durability: Hydrate and fuel within 30 minutes. Journal post training session SOP.